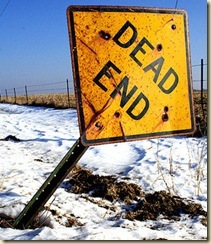 Is it the end of the road for SSAS? BISM and VertiPaq are all new features of SSAS. SSAS is gaining massive new capabilities in Denali. Nothing it taken away, nothing is deprecated. It is all net positive. I hope you can not only internalize it but also communicate it to others. The best way I think of the relationship of the “MOLAP UDM” to the “VertiPaq BISM” is akin to the relationship between C++ and C# in the year 2000. While C++ will still stay with us forever, C# is advancing rapidly and is able to take on broader and broader workloads. And the most important thing, Visual Studio – offering both C++ and C# is a much better product then the one offering only C++. It offers developers the option of choosing the right tool for the right task. Now – replace C++ with MOLAP UDM, C# with “VertiPaq BISM”, and Visual Studio with “SSAS” and you got the exact situation of today. Even with VertiPaq BISM introduced, MOLAP UDM is still used for all the high end heavy lifting and it is just as important as it had always been. As for the roadmap – MOLAP is here to stay. It will have new features every release (just like we have new important MOLAP features in Denali). Yes – BISM being less mature will see a faster innovation pace and being based on a more innovative foundation it will likely be the one creating exciting breakthroughs as we move forward. We worked hard to preserve the investments you made in the UDM and MDX. For example, the BISM supports ODBO and MDX. In fact – this is the only way Excel connects to it. All of the MDX lovers can still send MDX queries and create calculated members in the BISM. This is how Panorama works with the PowerPivot model. AMO works with the BISM as well as with the UDM. etc. Make no mistake about it – MOLAP is still the bread and butter basis of SSAS, now and for a very long time. MDX is mature, functional and will stay with us forever. While PowerPivot is targeted at business users to build Personal and Team BI applications, Analysis Services is the platform for building Professional BI applications. With the introduction of the BI Semantic Model, there are two flavors of Analysis Services – one that runs the UDM (OLAP) model and one that runs the BISM model. This is a side-by-side offering – you can choose to run one instance of Analysis Services hosting a UDM model and another instance hosting a BISM model on the same server. You might ask – Why do we have two types of models in Analysis Services? Which one should I use? Is the UDM going to be deprecated now that we have the BISM? The answer is NO! Analysis Services just got a lot better in SQL Server “Denali” with the BISM and VertiPaq and DAX! However the UDM is a mature and industry leading technology and is here to stay. The Analysis Services team is committed to staying on the cutting edge of BI innovation and leading the industry with breakthrough technologies such as VertiPaq. At the same time, we recognize our rich heritage in OLAP and continue to be humbled by success of our product and the vast ecosystem of customers and partners that it has helped us build. So this blog from Microsoft should answer the question which we asked, the answer – SSAS is here to STAY! Hey..Thnx Jason for this Post..